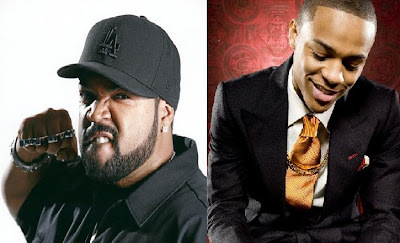 The Black Hollywood File: BOW WOW AND ICE CUBE TO DO "LOTTERY TICKET"
BOW WOW AND ICE CUBE TO DO "LOTTERY TICKET"
Alcon Entertainment has acquired Abdul Williams’ script “Lottery Ticket” in turnaround from Rogue Pictures and will finance and produce the urban comedy as a starring vehicle for Bow Wow and Ice Cube, according to Variety. Music video director Erik White will make his feature directorial debut on the project, set to begin lensing in Atlanta in October. Story revolves around a young man, portrayed by Bow Wow, living in the projects who has to survive a three-day weekend after his opportunistic neighbors find out he’s holding a winning lottery ticket worth $350 million. Ice Cube's "Cubevision" is co-producing. I'm guessing that Ice Cube is really fond of the whole idea of winning the lottery as this will be his second forray into that topic. His last go round was in the comedy "All About the Benjamins" with Mike Epps. Labels: BOW WOW AND ICE CUBE TO DO "LOTTERY TICKET"